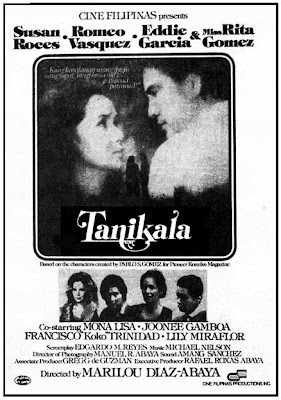 Left-1980: Tanikala written by Pablo Gomez, produced by Cine Filipinas Productions, starring Susan Roces, Bobby Vasquez, Eddie Garcia and Rita Gomez. 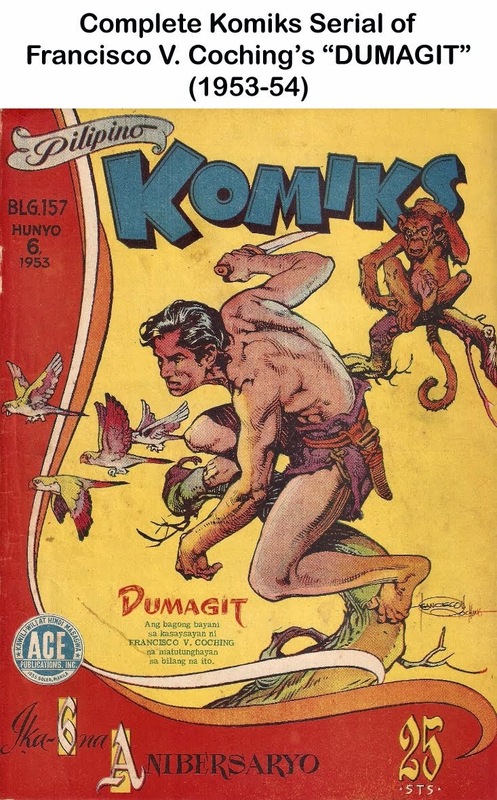 Did you know that Director Marilou Diaz-Abaya was only 24 years old when she did Tanikala in 1980, a much delayed movie project and initial venture of Cine Filipinas? 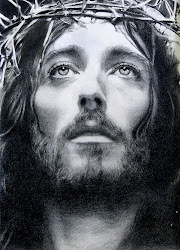 Abaya was a graduate (with honors) of St. Theresa’s College and Assumption Convent, Outstanding Coed of the Year (1973-74), Teenage Ambassador of Goodwill, Karilagan Cultural Arts International awardee for Best Artistic Stage Performance of the Year and 1976 National Press Club awardee as Most Promising Stage Actress of the year. 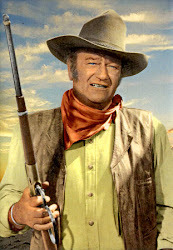 A promising credentials indeed for the young greenhorn in the local movie industry. Abaya soon established herself as one of the country’s best and finest directors, directing among others, Brutal (1980), Moral (1983), Karnal (1984), Baby Tsina (1984), Jose Rizal (1998) and Bagong Buwan (1999). 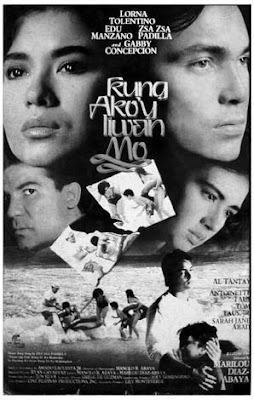 Left- 1991: Kung Ako'y Iiwan Mo, written by Amado Lacuesta, produced by Regal Films’ starring Lorna Tolentino, Gabby Concepcion. 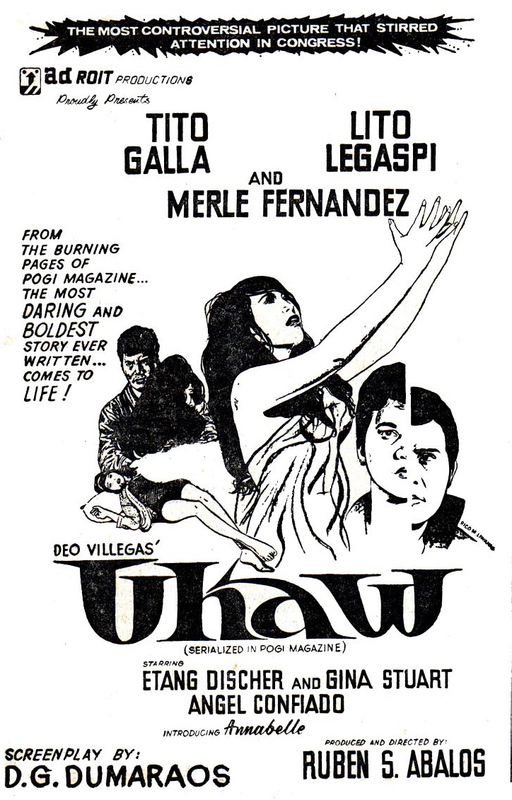 Right- 1992 : Ikalabing-Isang Utos, produced by Regal Films; starring Aiko Melendez, Gabby Concepcion, Edu Manzano, Maricel Laxa. 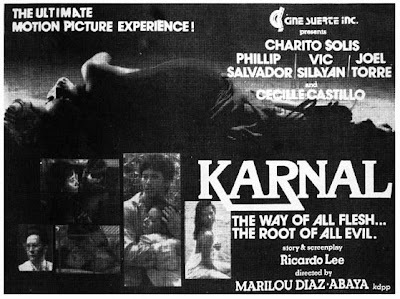 1980: Tanikala (Chains), written by Pablo Gomez, produced by Cine Filipinas Productions, starring Susan Roces, Bobby Vasquez, Eddie Garcia and Rita Gomez. 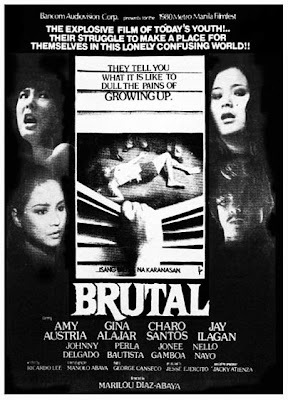 1980: Brutal (Brutal), written by Ricky Lee, produced by Bancom Audiovision, starring Amy Austria, Jay Ilagan, Johnny Delgado, Charo Santos; multi-awards from the 1980 Metro Manila Film Festival, Film Academy of the Philippines, FAMAS; exhibited at the PIA Film Festival, Tokyo. 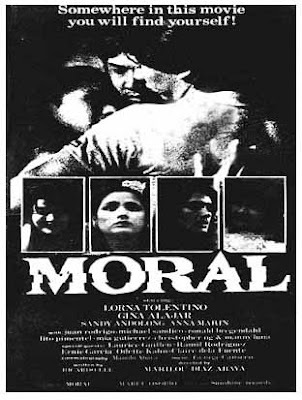 1983 : Moral (Moral) , written by Ricky Lee, produced by Seven Star Productions, starring Lorna Tolentino, Gina Alajar, Sandy Andolong, Ana Marin, Laurice Guillen; rated A by the Film Ratings Board; 1984 British Film Institute Outstanding Film of the Year. 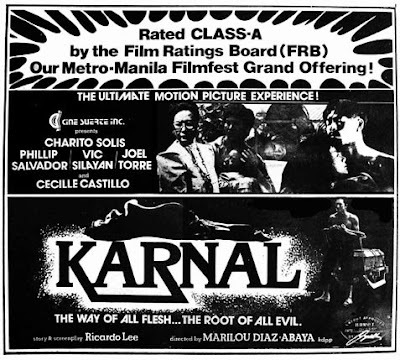 1984 : Karnal (Of the Flesh), rated A by the Film Ratings Board, written by Ricky Lee, produced by Cine Suerte productions; starring Charito Solis,Vic Silayan, Phillip Salvador, Joel Torre, Cecile Castillo; Multi-awards from 1984 Metro Manila Film Festival, FAMAS, Film Academy of the Philippines, Catholic Mass Media; Gawad URIAN pelikula ng dekada 80; exhibited in Sceaux,Paris Women’s Film Festival (1985); in retrospective in Munich and Dusseldorf (1999). 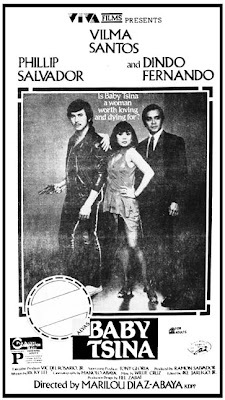 1985: Baby Tsina, written by Ricky Lee, produced by Viva Films; starring Vilma Santos, Phillip Salvador, Caridad Sanchez; exhibited in ASEAN Festival, Tokyo (1988). 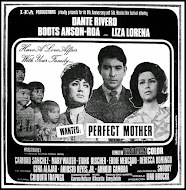 1991: Kung Ako'y Iiwan Mo, written by Amado Lacuesta, produced by Regal Films’ starring Lorna Tolentino, Gabby Concepcion. 1992 : Ikalabing-Isang Utos, produced by Regal Films; starring Aiko Melendez, Gabby Concepcion, Edu Manzano, Maricel Laxa. 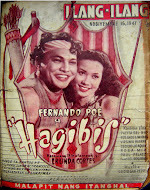 1994 : Ipaglaban Mo, The Movie (Redeem her Honor), written by Ricky Lee, produced by Star Cinema; starring nida Blanca, Ronaldo Valdez, Elizabeth Oropesa, Chin Chin Gutierrez, Sharmaine Arnaiz, Joel Torre, Ricky Davao; exhibited at the Fukuoka International Film Festival (1995), Tokyo (1995) New Delhi (1996). 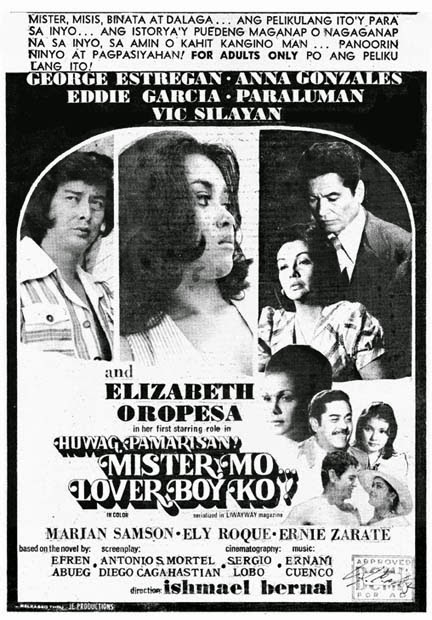 1995 : Milagros (Milagros), written by Rolando Tinio, produced by Crown Seven, starring Elizabeth Oropesa, Sharmaine Arnaiz, Dante Rivero, Joel Torre, Raymond Bagatsing, Noni Buencamino; exhibited at the Film Festivals of Fukuoka, Tokyo, Pusan Munich, Dusseldorf; Gawad Urian Pelikula ng Dekada 90. 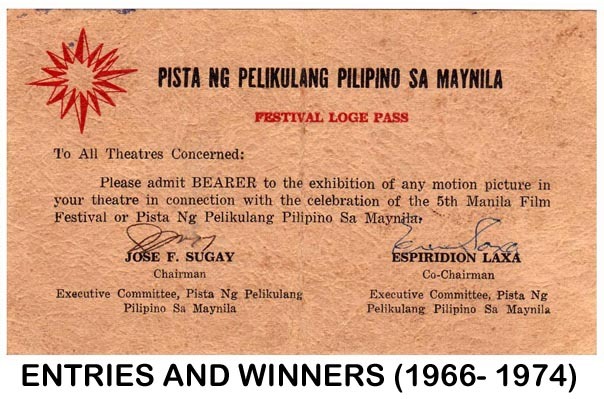 1996 : Sa Pusod Ng Dagat (In the Navel of the Sea), written by Jun Luna, produced by GMA Films; starring Jomari Yllana, Elizabeth Oropesa, Chin Chin Gutierrez, Rolando Tinio, Jhong Hilario; exhibited at the film festivals in Berlin, Munich, Dusselfdorf, Singapore, Brussels, Fukuoka, Tokyo, Pusan, Toronto, Montreal, Vancouver, New York, Chicago, San Francisco, Los Angeles, Hawaii, and others; NETPAC Award; FIPRESCI award. 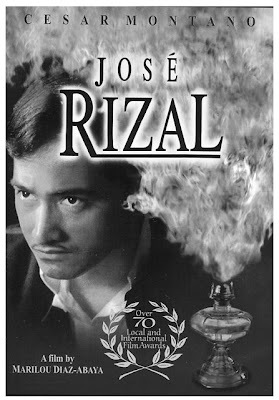 1998 : Jose Rizal, written by Ricky Lee, Jun Lana, produced by GMA Films; starring Cesar Montano, Jaime Fabregas, Gina Alajar, Jhong Hilario, Gloria Diaz, Pen Medina; multi-awarded by the Metro Manila Film Festival (1998), Gawad Urian, Star Awards, FAMAS; commercially released at the Iwanami Hall, Tokyo (2000); exhibited at the film festivals of Berlin, Munich, Dusseldorf, Madrid, Paris, Singapore, Fukuoka, Tokyo, Pusan, Monteal, Vancouver, Guggenheim Museum of New York, Chicago, San Francisco, Los Angeles, San Diego, Hawaii, and others. 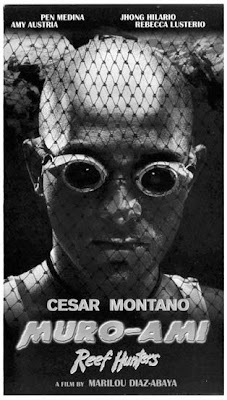 1999: Muro Ami (Reef Hunters), written by Ricky Lee, Jun Lana, produced by GMA Films; starring Cesar Montano, Amy Austria, Pen Medina, Jhong Hilario; multi-awarded by the Metro Manila Film Festival (1999), FAMAS, Star Awards; exhibited in the film festivals in Fukuoka, Tokyo, Los Angeles, Hawaii, and others. 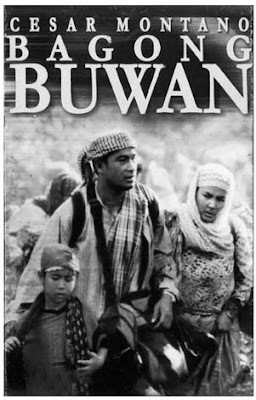 1999: Bagong Buwan (New Moon), written by Marilou Diaz-Abaya, Ricky Lee, Jun Lana, produced by Bahag-Hari Productions and Star Cinema; starring Cesar Montano, Amy Austria, Caridad Sanhchez, Jhong Hilario, Noni Buencamino, Ronnie Lazaro, Jericho Rosales; rated A by the Film Ratings Board; multi-awarded by the Metro Manila Film Festival (2001); exhibited at the film festivals of Asia Society of New York, Fukuoka, Tokyo, Pusan, Hawaii, and others. 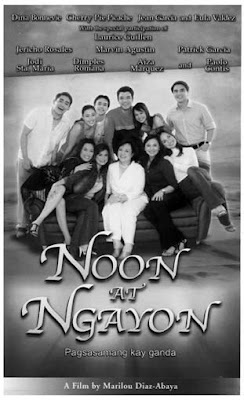 2003 : Noon at Ngayon (Then and Now),written by Ricky Lee, produced by Star Cinema; starring Dina Bonnevie, Laurice Guillen, Jericho Rosales, Cherrie Pie Picache, Eula Valdez, Jean Garcia ; rate A by the Cinema Evaluation Board; exhibited at the film festivals of Hawaii, Fukuoka,Tokyo, San Francisco, and others. 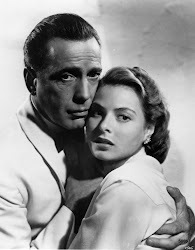 I love Lorna T. in MORAL'. 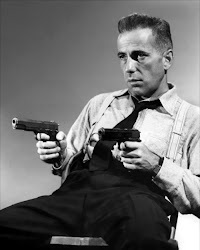 nasan na si Cecil Castillo? 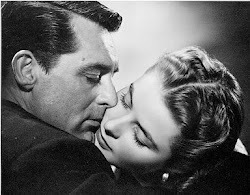 she was good in KARNAL'.one of the best movies i've seen.